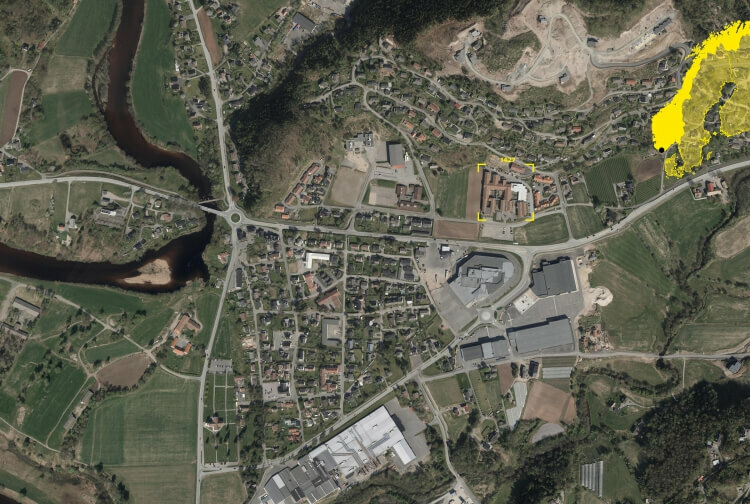 A new health center in central Lyngdal has been designed in cooperation with NORD Architects. It includes nursing homes and care homes distributed in a public building structure. 1/3 of the total 21 000 m² includes the reconstruction of existing facilities and 2/3 a new annex. Lyngdal Carecentre has its focus on innovative solutions in program organization and design of the individual functions, with the objective of developing an efficient and future-oriented health care centre. Lyngdal Carecentre is part of InnoBuild (a triennial EU funded project). The methodology is suited for public procurement of innovation and it is based on a communicative logic.